A friend of mine spent 26 years with a state police agency from which she retired as a captain. During one of our conversations she jokingly described her organization as “85 years of tradition unhampered by progress”. Knowing the sense of pride she has for the agency she spent the majority of her adult life, I understood that she was not being disparaging but also recognized the underlying reality to her words. Tradition is a word that evokes strong emotion in all of us. We value our family traditions and we take great pains to keep the traditions alive for our children in hopes they will continue for our children’s children. The word “tradition” comes from the Latin meaning: to hand over for safekeeping. It is a ritual or a belief passed down within a society that is still maintained in the present but has strong ties to the past. Whether it is families or institutions, we pride ourselves on the rituals that merge our past and our present. There is something to be said about upholding traditions when they instill positivity and a sense of belonging. However, tradition can sometimes impede progress as my friend not so subtly pointed out. We can all relate to organizations that operate under the maxim, “we’ve always done it this way.” It is when we cling to past practice for the simple sake of it being the traditional way that we are closing ourselves to the possibility of new and better. This instills fear in many people because the idea of moving away from tradition suggests that we are not being true to our values which are woven into our practices. The truth is, we are a nation founded upon change. Tradition is what denied the right and ability of women to vote for so long. Tradition is what justified slavery. Tradition is what kept interracial couples from marrying. Some people cling to their “traditions” as a way to validate their own antiquated beliefs – and that is what impedes progress. To be “progressive” has such a negative connotation because it challenges traditions thereby labeling change agents as dangerous or rogue. Some even suggest that changing what we deem as traditional is a threat to mankind and believe it weakens the very fabric from which our legacy is woven. Change for the sake of change is never wise when it comes to organizations and intuitions. But keeping things the same for the sake of tradition is just as irresponsible. For example, there is currently a large push in police organizations to move towards a more relaxed uniform. 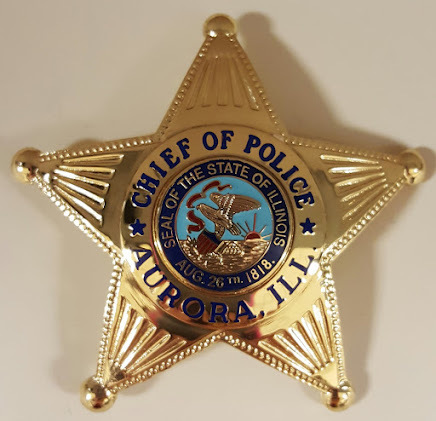 Aurora police officers don hardware on their uniforms that include a star, collar brass, nametag and award pins. There is a growing trend of police agencies that have transitioned to embroidered stars and shields so there are no moving parts on the uniform. Many have also evolved to military style BDU pants instead of the straight cut polyester blend uniform pants. I personally favor the appearance of the ornamental hardware and the militaristic look. One of the patrol officers challenged my preference and argued that officers on the street are jumping over fences and traipsing through backyards on any given day and the traditional style uniform is impractical in this arena. When I began to formulate my response, I realized I could offer no rebuttal other than my preference (my values) to keep with the tradition of our police department. His points were based on logic and empirical evidence to support his position. Mine were not. There is honor in upholding traditions because we feel rooted to our ancestors and our institutions when we honor the legacies of the past. We all feel a responsibility to keep the fire ignited when we are handed the torch, but we must never be afraid to use our flames to illuminate a different way. It might lead to a better way. A Captain,must be nice to have a heavy phone call.